This is a really tasty seasoned mung bean sprouts recipe from the Quick and Easy Korean Cooking cookbook by Cecilia Hae-Jin Lee. The recipe will work on any sort of sprouts. 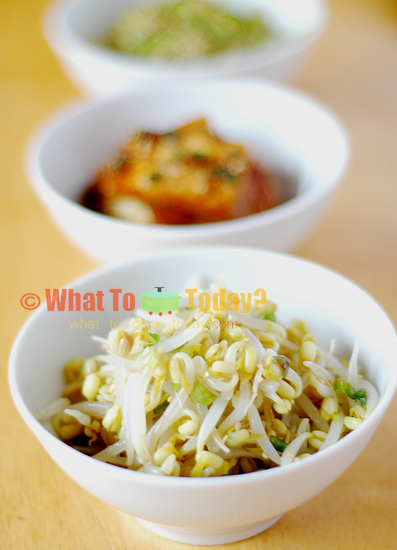 The term mung bean sprouts is used interchangeably with green bean sprouts or just bean sprouts.